I am Cherokee/Scots-Irish on my mother’s side and Cajun/Atakapa on my father’s side. While I enjoy listening to most Cajun music, it is the bagpipes that will bring me to tears and I hope to visit Scotland one day. I was sent to Waikiki Beach many years ago by a company I was working for at the time to provide a deposition in a legal matter. While I was there I ended up in the middle of a volcano and have the pictures to prove it! I LOVE animals and have had a menagerie at different times in my life, including rabbits, quails, pigeons, dogs, cats, turtles, fish, guinea pigs, and hermit crabs. I almost committed suicide by drowning when I was 14 but was saved by my guardian angel. My story was later bought by Chicken Soup For The Soul and is part of the Angels Among Us edition. I ran away from home for a day when I was about 12 and ended up on the other side of town at a horse stable run by my next door neighbor at the time. He let me hang around and feed the horses, even giving me a ride on one before taking me back home. My mother never found out. I started writing poetry when I was only 8 years old and later collaborated with my sister to create new work that ended up in two volumes of poetry by the time I was about 15. If I could only take one food with me to a deserted island, it would be Kroger chicken, hot from the deli. I used to think KFC made the best chicken but I was wrong. I can actually speak like Yoda, but don’t do it often and only a handful of people have ever heard me. I’d love to know more about my readers, so why not share one thing about YOU in the comments below that others might not know? I find myself to be a creature of habit. I take comfort in knowing the ebb and flow of my days don’t typically change. It allows me to block out time throughout my day for my writing. I just wish my actual writing would follow the same smooth process that my day to day activities do. Most of the time I’m walking around during the day with different stories floating around in my head. Plots and dialogue from multiple stories dance around each other like fireflies in the moonlight. Captivated, I too find myself flitting from one thought to another as I test out my ideas before committing them to paper or screen. Sometimes I even let that ol’ moon challenge me to search out the very best within myself, dragging it out of the shadows and into the light. I like to think of my ideas as creatures of the night, snug in their dens during the day…just waiting to come out and play when the moon is full. There is a certain kind of freedom to writing at night. All around me others are settling in for the evening and yet there I will sit at my computer…wide awake and eager to see where the moonlight will take me. Sometimes the journey is like a crazy maze where I start and stop…going down one dimly lit path, only to come to a dead end. I’ll turn around and search out the moon’s brilliance once again until I discover the path most satisfying for a creature of the night like myself. Then there are times when everything is crystal clear under the moonlight. Every nook and cranny of my brain is illuminated by the night, leading me on the straight and narrow path to my journey’s end. Those are the nights when I feel the most productive. Those are the moments when I can bask in the moonlight and KNOW I am a writer. I don’t know of anyone who didn’t want to be some kind of super hero when they were a kid. Didn’t matter whether you were Wonder Woman or Superman. Running through the back yard with a sheet tied around your neck, you took on the bad guys and saved the day. That’s what we need again. People who hero up and defend the written word for all the other young heroes yet to be. With many bookstores closing at a frightening pace and an ever increasing number of poorly written vanity press or thrown together self-published ebooks flooding the market today, who is willing to step in and make sure only the best stories are there for today’s young readers? I’ve decided to start a campaign where I challenge all writers to think back to that time in their own childhood when they believed they could save the world and then grab a cape and hero up. HERO UP FOR THE CHILD WITHIN YOU! For the little boy or girl who hugged their first library book like it was some newly discovered treasure chest just waiting to be explored. HERO UP FOR THE CHILD YOU MEET TODAY! For the child sitting in front of you at a school visit, ready and eager to join you on some grand adventure to faraway lands. HERO UP FOR THE CHILDREN OF THE FUTURE! For those young minds yet to be who will need a hero like you to protect the magic and ensure there will be great stories waiting for them when the time comes. 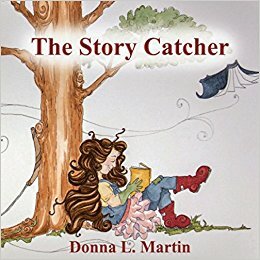 Later this fall I plan to champion the hero cause by hosting the first annual STAR CATCHER CONTEST through #StoryCatcherPublishing. This contest created exclusively for the next generation of authors will be open to young writers, ages ten years to eighteen years old.. They will have the chance to submit their short stories in one of five different categories for the chance to be published in an anthology of twenty-five winners. It doesn’t take much to save the world. Just the belief that somewhere deep inside you lies the ability to ignite a powerful love of reading in those who wait in the shadows, starving for a good story. Readers just waiting for someone like YOU to grab a cape and HERO UP! THOUGHTFUL THURSDAY: When Life Throws You A Curve Ball…Catch It! When I was in high school I played a lot of baseball during my physical education class. I don’t know if my teacher just wasn’t creative enough to occupy our class time with anything else or if she had some grand scheme of trying to make me the next hometown slugger. Either way I didn’t mind it and was pretty good at playing the short stop/second base position. While I had to work hard at playing the game, my son had a natural talent for anything athletic and even did his stint as pitcher on one of the neighborhood community leagues when he was growing up. I guess you could say playing baseball runs in our family. This morning I woke up thinking about what I would write today and realized my memories of playing baseball could help me in writing and with life in general. If you’ve ever watched a little kid’s baseball game, you’ll know the one I’m talking about. When kids are just starting out learning to play the game the balls come easy. It’s a time to focus on the goal of connecting with the ball and maybe getting to first base. Newbie writers get nervous about those first few stories they write just like those first few easy pitches thrown across the plate. Will I be good enough to play the game? Do I understand the rules? Will I ever score..or in a writer’s case, will I ever be brave enough to send my manuscript out into the world for others to see? As you become more experienced as a ball player…and a writer…then comes the chance of being thrown a curve ball. Just when you think you understand what is expected of you there is a new twist and you may find yourself fumbling at the plate. Are you going to strike out? Or will you look around and see how other players handle those curve balls? Over the years I’ve written a number of picture books. I even completed Mira Reisberg’s Chapter Book Alchemist course. During Mira’s course, the curve ball being thrown my way was in the form of a personal challenge to complete a chapter book manuscript during this course. Instead of backing down, I decided to step outside of my comfort zone and write a creative nonfiction chapter book which is as polar opposite from what I usually write as my hitting average is to Babe Ruth’s. But guess what? I rose to the challenge and managed to hit that curve ball coming my way because I stayed focused on my writing goals and followed the rules of the game. Then there are times when things are going too fast. When the pitcher…or LIFE…decides to throw you a wild pitch and all you can do is try to get out of the way. That happened to me a couple of weeks ago. Something so shocking to me I still can’t get the image out of my mind. I tried to get out of the way of that crazy ball coming straight for me but instead ran right into it. Yeah it hurt and yeah I will feel the after effects for months to come, but you know what? At least I’m still in the game. For writers, it could be a rejection letter or writer’s block or even a bad business decision. But it’s what you do AFTER you get hit with the wild pitch that determines whether you’ll still be around at the bottom of the ninth or not. My father’s side of the family is full of fun loving Cajuns who enjoy good company, good food, and good music. At least once or twice each summer when I was growing up, the whole clan would gather together at the family camp on the bayou and just enjoy the day. I remember there was a big hill behind the house and one of my favorite games was to lie down at the top and race my sister to see who could get to the bottom first. Even then I knew rolling downhill is a good thing. I’ve worked hard these past few years to move my writing career on a continuous path to publication. I thought at first that path was all uphill as I struggled to figure out how to become a stronger writer and gain the attention of the people who might help my dreams become a reality. I pushed and I pushed as hard as I could to try to make it up that steep hill, never realizing I was going in the wrong direction. At first I thought every rejection letter was from someone who didn’t like ME and was just trying to stop me from getting to the top. But as more and more of those letters began to roll in, I began to realize they weren’t trying to stop me in my pursuit of become an author…they were merely changing my course to lead me in the right direction. We writers are a sensitive bunch. As powerful as we know words to be, we still are amazed sometimes at their ability to hurt US. When we take those rejection words personally we ignore the caring that came with it, pushing us to do better, to try again, and sometimes to change the course of where we are headed in order to succeed in this business. Once I stopped using all my energy to struggle going uphill and turned around, little accomplishments began to help me roll downhill toward becoming a published author. Critique partners helped me roll a little faster as they challenged me to polish my manuscripts. Rejection letters began to include words of encouragement even if they still turned me down and I rolled a little faster. Then came the day one of my essays was accepted by a publisher. Chicken Soup For The Soul: Angels Among Us came out in January of 2013 and I realized I was rolling downhill at a fairly good pace. I even wondered if I had reached the bottom when Anaiah Press planned to publish my debut picture book, THE STORY CATCHER in January 2015. But hills aren’t made that way and the momentum of all our hard work as writers continues to propel us in the direction of our dreams. Other essays went on to be part of other anthologies in 2017 and 2018. More rolls closer to my goal of a continuous writing career. Then came the chance to expand my writing knowledge when I started my own publishing company, Story Catcher Publishing, and I added LUNADAR: Homeward Bound (a YA fantasy novel) to my portfolio of writing credits. Next in the works is Book One of my historical fiction chapter book series and a fabulous young writer’s contest to pay all the writerly love forward I’ve received over the years. Whoever said writing children’s books is easy never actually tried to write one. Sometimes I will sit in front of my computer, staring at the blank screen and wondering if I will ever form a coherent thought again. Experts call it writer’s block. I call it being stranded in a wordless desert where hundreds of negative thoughts swirl around me and finding my next drink is a thousand times easier than that first sentence. This feeling of emptiness…for I have no better way to describe it…doesn’t happen often but enough for me to really appreciate those sweet words when they do return. There is such a rush of emotion when I am working on a story…watching the ebb and flow of characters interacting with each other and the world around them. Allowing my main character to almost reach their goal before I throw another monkey wrench into the mix. Then being just as surprised as my protagonist when the last page turns and there is a happy ending waiting for us both. 1. WRITE SOMETHING…ANYTHING DOWN. Write Mary Had a Little Lamb or the Lord’s Prayer. WHAT you write down right now isn’t as important as the fact you are breaking through the sterile curtain holding you back from adding more words to screen or paper. 2. READ OVER THE LAST THING YOU WROTE. I’m also in the middle of writing several different stories in multiple genres. To avoid drawing a blank the next time I work on one of my stories, I always go back and read the last chapter. It helps set the tone and draws me back into the world I’m creating so I can more easily follow the story moving forward. 3. READ SOMETHING SIMILAR. If I’ve started a new picture book and run into a brick wall, I start reading similar stories to see how other authors have handled their protagonist’s problems. I don’t want to mimic their work but enjoying the works of others will help fuel my own imagination. 4. VISIT THE INTERNET. You’ve heard me right. Now I don’t mean hang out for hours playing Candy Crush or watching YouTube videos. But setting a kitchen timer for 30 minutes to connect with other writer friends and family allows you a chance to realize you’re not all alone on this journey. Others have choked on the dust of a wordless desert and sometimes it helps to know that. 5. TAKE A BREAK. Take a walk. Work in the garden. Phone a friend. Do a crossword puzzle. Take a nap. Just like Paul Simon’s song “Fifty Ways To Leave Your Lover”, there are at least that many ways to shake things up and get those words flowing again. I had my cat, Tommy, from the time he was about six months old until I lost him over a year ago at the ripe old age of eighteen. His mother was abandoned at a local vet’s office, along with a tiny fur ball that later became my companion. Tommy, or Tom-tom, as I often call him was no stranger to my late night wanderings through the fields of my imagination as I attempt to store the latest story on my laptop. Don’t lose sight of the fish. Even though Tommy was eighteen which was fairly old for a cat, he still loved to play. He liked to do mock battles with my arm where he usually won and I got to treat my war wounds. One Christmas he received a stuffed fish hanging at the end of a sort of fishing pole and he enjoyed going after that poor thing. There was a certain amount of focus and concentration involved in him capturing that coveted toy. His single-mindedness reminded me to stay focused with my writing if I ever wanted to be able to clutch the coveted prize of my own book contract. I imagine all cat owners have discovered at one time or another their feline friends squished into the most unlikely of places. I have found Tommy lounging in my bathtub, hiding in the closet, curled up in a shoe box half his size and even lying in the fireplace. I have a feeling Tommy did some of his best daydreaming when he hung upside down somewhere which reminded me to relax and allow my imagination to run wild. I intend to do quite a bit of writing in the coming years so I will need plenty of ideas to work on. LESSON NUMBER THREE…Save a bit for later. Tommy was a very classy cat. He was very meticulous about his hygiene routine and very rarely raised his voice when I’m sleeping. But there was one area where he could use a little work. Whenever he decided it was time to eat, Tommy always wanted to save a bit for later. I’d walk into the kitchen after he’s done and constantly find food he’s stashed under the refrigerator or behind the water bowl or even UNDER his food dish…a trick I haven’t figured out yet. But come to think about it, maybe Tommy was just trying to tell me not to rush things. When I finish a story maybe I should set it aside for later instead of immediately jumping into revisions? Saving it for later will allow me to appreciate it with new eyes. LESSON NUMBER FOUR…Share with others. I knew my cat loved me. When I would write, he would curl up by my side in my old recliner…purring with eyes closed and trying to hold my hand which made it a challenge to type. He seemed to think sometimes I was his mother and should be proud of all his feline accomplishments. Like the time he caught a mouse who unfortunately sought out the warmth of my house and then deposited the body at my feet like a prize trophy. Looked at me as if to say, “Mommy, aren’t you proud of me? I’ve learned to share!” Maybe Tommy was trying to tell me I should share my stories with others? To find people who can help polish my words until they shine like a newly cleaned kitty coat. LESSON NUMBER FIVE…Learn to relax. I’m sure being a companion cat can be a hard job at times and it’s one Tommy took seriously. He always made sure to greet me when I got home at night. He butted heads each morning to wake me up so I wouldn’t be late for work. He smelt my breath to make sure I was presentable at all times. He even slept by my side when I wasn’t feeling well so I wouldn’t feel all alone. Despite all of Tommy’s responsibilities of being my number one pet, he still managed to find time to just relax and hang out. And that might be the most important lesson of all. I need to remember to have fun with my writing…to relax and enjoy what I do every day no matter whether I ever get my stories published or not…otherwise, what is the point of even turning on my computer? Thanks, Tommy! Who knew one cat would know so much about writing?